Invasive Plants, An Introduction to Problematic Widespread Species, Invasive Plants - is an identification guide from Waterford Press to invasive plants that can cause economic and ecological damage to crops, range, forests, and wildlands in the West. 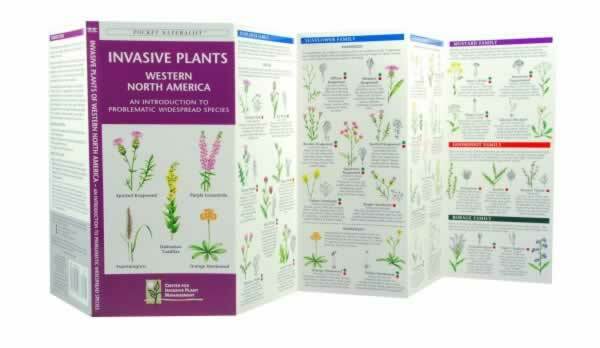 Invasive Plants - Western North America is an identification guide to invasive plants that can cause economic and ecological damage to crops, range, forests, and wildlands in the West. Most of these problematic plants are non-natives that now grow in locations beyond their known historic range. 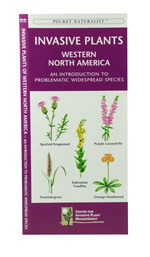 A non-native designation can refer to a plant from other continents, regions, or ecosystems. Once in a new area, these plants can establish and spread, free from their natural competitors. Laminated for durability, this handy Pocket Naturalist Guide from Waterford Press is a great source of portable information and ideal for field use by novices and experts alike.